﻿The Nibley Childrens Theatre is excited to announce this year’s Heritage Days 2015 production: Baba Yaga and the Enchanted Ring. A traditional Russian folk tale full of adventure and fun. Join us as the witch Baba Yaga guides Prince Ivan and his animal friends on his quest for a lost magical ring which will free his queen mother the Tsaritsa Yelena and save his kingdom from the evil Vladamir. Signups will be online April 1- May 23. Please note the earlier dates of signups and auditions this year. All Nibley City children ages 5-17 are encouraged to sign up. Ages 8 and up may audition for a speaking role. Prince Ivan- a brave Russian Prince determined to regain his kingdom and save his family. Cat- Baba Yaga’s clever cat who helps Ivan on his journey. Bird- a magical bird who aids Ivan on his journey. Tsaritsa Yelena- Ivan’s mother and rightful queen of the kingdom. Frost Mice Leader- leads the Frost Mice in lullying King Morozko to sleep. 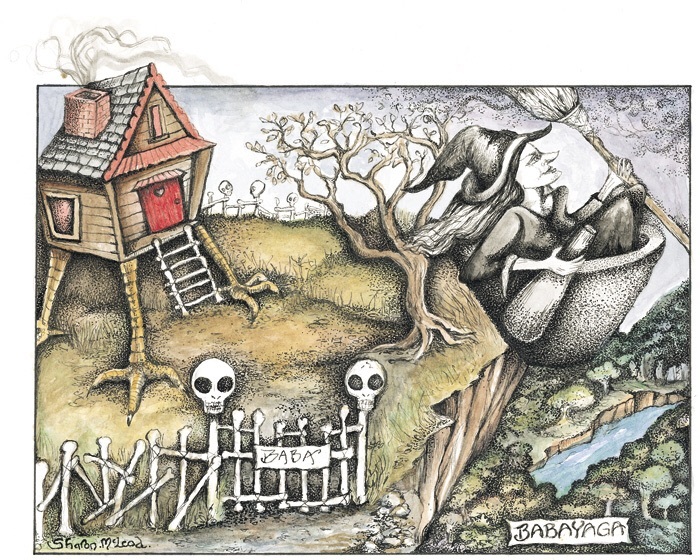 Izbuska- Baba Yaga’s magical house. A comical hut on chicken legs with a mind of its own.